Well, here it is, the morning of the last day of the year and of course, I’m squeezing one last post in. Squeezing it while eating one of my favorite breakfasts (egg sandwich), sipping my ever-favorite nonfat vanilla latte, at one of my favorite places (Starbucks, of course). Squeezing things in has been my unintended motto of this past year and so I guess it’s appropriate that I wrap up the year squeezing in a recap my top 20 favorite recipes from 2014 with you all today. On Monday, it was all about your favorites – what got you commenting, pinning, and cooking. Today, it’s about the food that made Kyle and I most happy in the past year. On the cusp of the new year, I do wish you and your families the happiest of new years, filled with love, joy, peace, and amazing food, of course! Cheers! 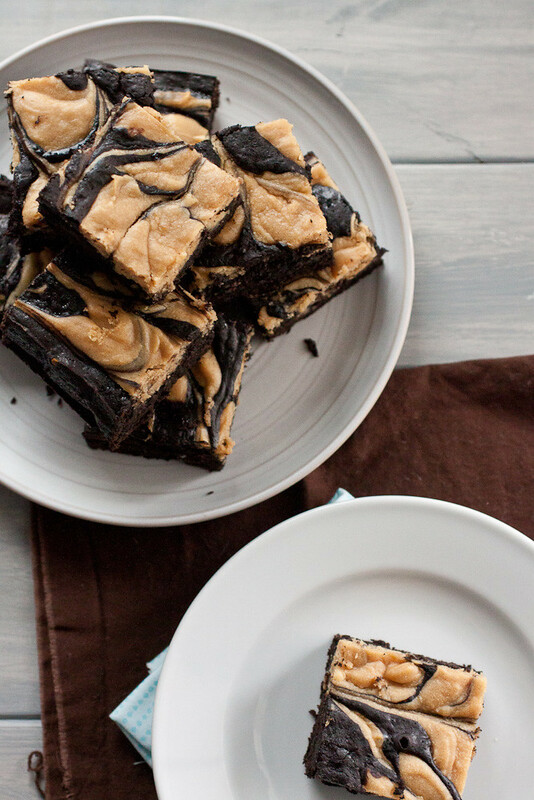 Peanut Butter Cheesecake Swirl Brownies. Oh my! Peanut butter cheesecake filling is swirled around in a pan of dense and chewy brownies. These brownies are perfection. I may have made them twice in one week because I had to give the first batch away. No complaints here. 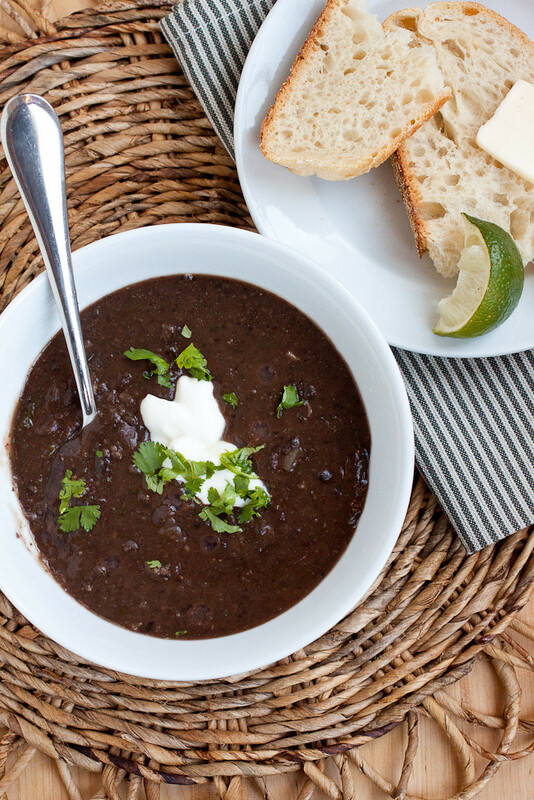 Smoky Black Bean Soup. This soup hailed from my need to make really great restaurant food at home. The smokiness comes from the applewood smoked bacon I rendered down to cook the soup’s veggies and the flavor carries throughout the finished soup. It’s nothing short of amazing. Espresso Dark Chocolate Coconut Cookies. Woah. 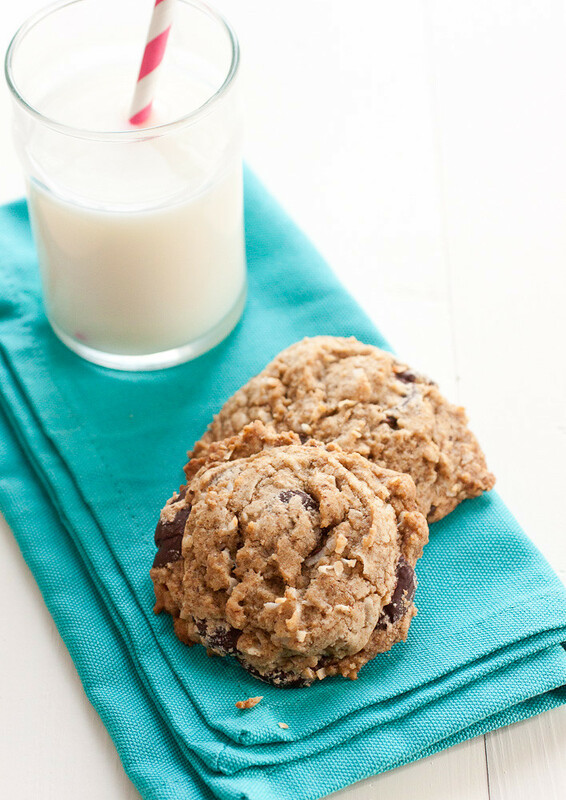 These cookies combine some of my favorite ingredients to bake with into one solid cookie. The dough freezes like a champ so there’s basically no excuse to never have these cookies in the house. 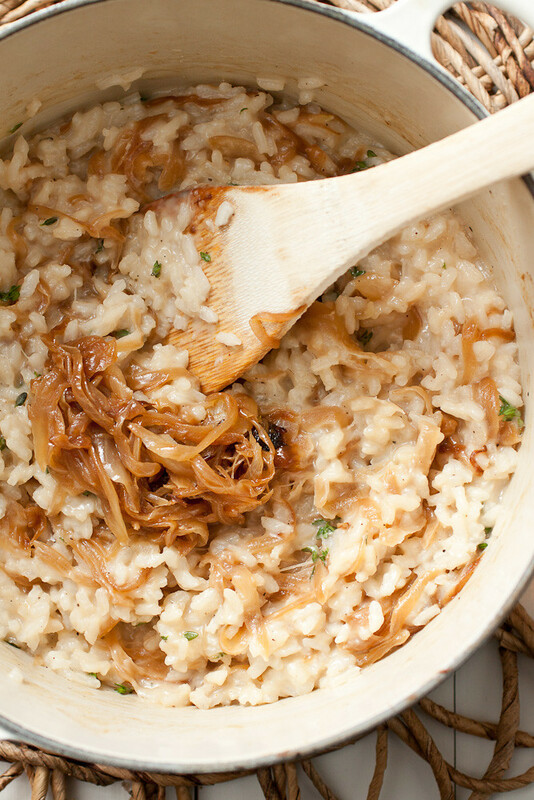 Caramelized Onion and Thyme Risotto. Risotto is one of those things I shy away from making at home because I feel like it takes so long. So I order it often in restaurants. And then I wonder why I don’t make it more often at home. So while caramelizing onions does take a little extra time (but not much extra effort), this risotto is full-on worth it. I’ve made it a couple times in the past year and have paired it with sauteed chicken and roasted sausages – both are equally excellent additions to the dish. 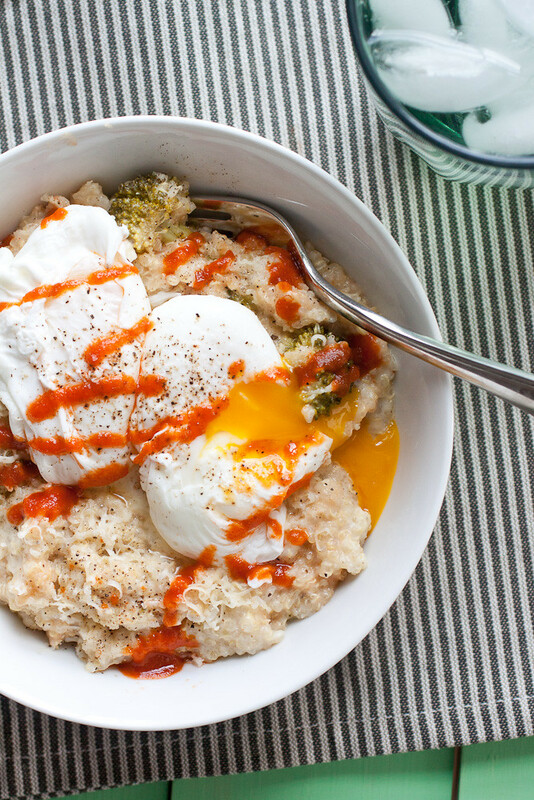 Cheesy Broccoli Quinoa with Sriracha and Poached Eggs. This was my year to master poaching eggs without the aid of a pan with little egg cups. It was also my year to fall head over heels for sriracha. So I combined the two and set them atop an already amazing meal of this cheesy broccoli quinoa casserole. Amazing! Maple Dijon Vinaigrette. 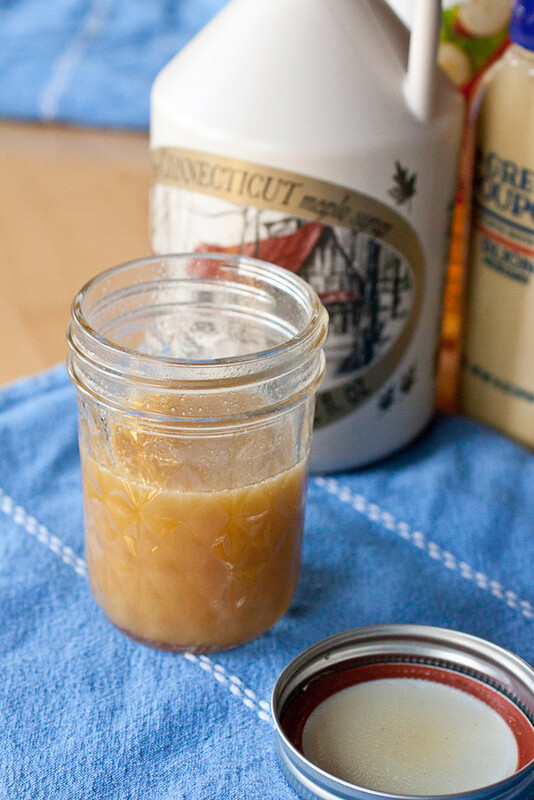 My favorites list from this year could not be complete without this maple Dijon vinaigrette. It’s been my staple dressing all year long and I keep batches of it in mason jars in both my work and home fridges. I first made it to top my sweet and salty harvest salad last year but it goes so much further than that. 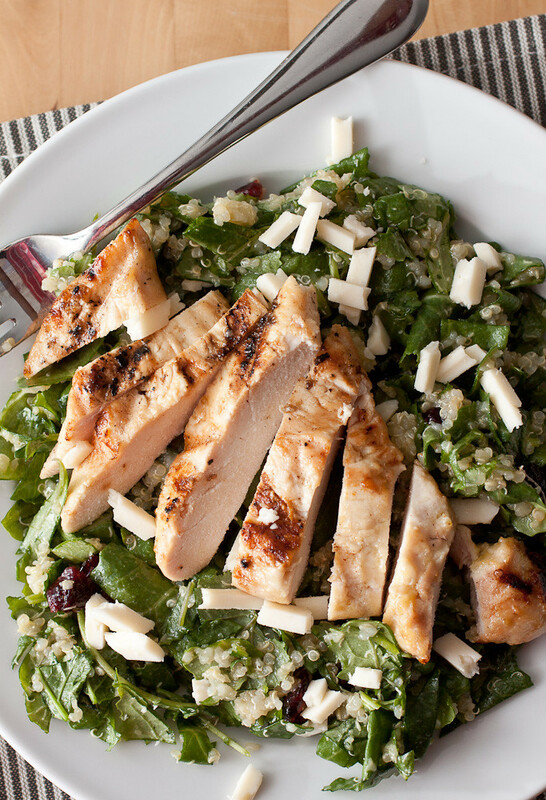 Kale and Quinoa Salad with Maple Dijon Grilled Chicken. So that dressing? I marinated some chicken in it, grilled the chicken and set it on top of this warm kale and quinoa salad. The whole meal is outstanding and it set the majority of my lunches into motion for the rest of the year. Varieties of this salad have included roasted beets/butternut squash/brussels sprouts, brie, cheddar, apples, almonds, and pecans – always with the maple Dijon vinaigrette. 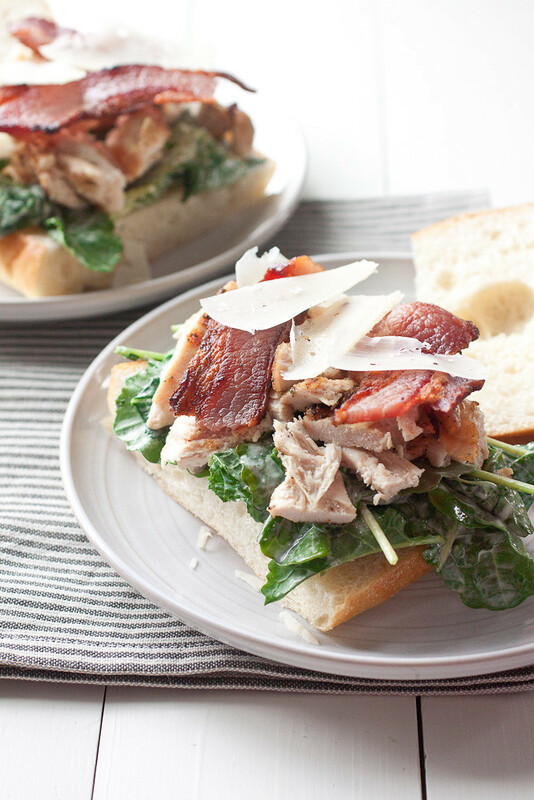 Grilled Chicken and Kale Caesar Salad Sandwiches with Bacon. This year was about me finding healthy and quick meals to feed the two of us on weeknights. This sandwich fit the bill and knocked it out of the park. The Caesar dressing is quick to whip up in the food processor and it takes longer to heat up the grill than it does to make the entire meal. These sandwiches were a big winner for us this year. 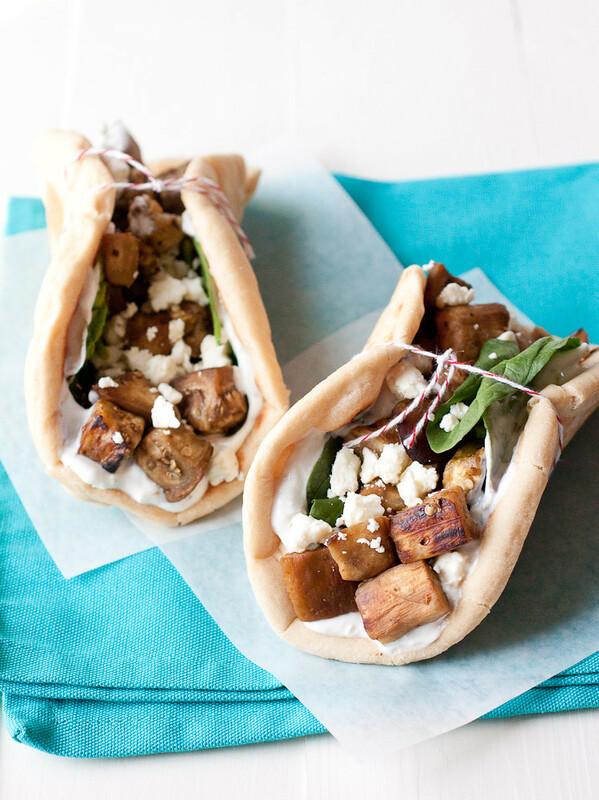 Easy Eggplant Flatbread Wraps. This is another one of those quick and healthy meals we relied on throughout the year. The eggplant is quickly cooked in the microwaved and finished in a saute pan to crisp it up and then it’s topped with a creamy yogurt-garlic sauce and sandwiched between a homemade flatbread (which I need to further perfect before sharing it with you all). Yeasted Waffles. These waffles are life-changers. 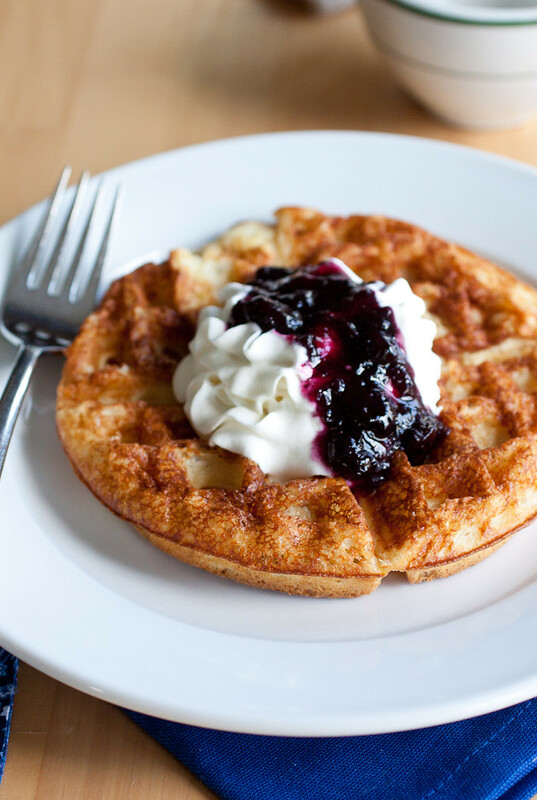 The waffle batter is prepared the night before you plan to make them, making waffles a no-brainer breakfast. We drove the batter 2 hours to my parents house for a Father’s Day brunch my mom was hosting and made the waffles using what looked like dueling waffle irons, pumping out a ton of light and crispy waffles for my family, keeping them warm on a rack in the oven until we were ready to eat. They are really something special and this recipe converted my mom from someone who doesn’t use yeast into someone who definitely is excited to use more of it. Reuben Hot Dogs. Admittedly, Kyle and I both love hot dogs. He’s a little more traditional when it comes to toppings (mustard) but I’m slowly converting him into a hot dog adventurist, especially after those tex-mex dogs we made last year. I came home one afternoon last spring to him reading a piece in Real Simple about fun hot dog toppings and it was the beginning of the end. 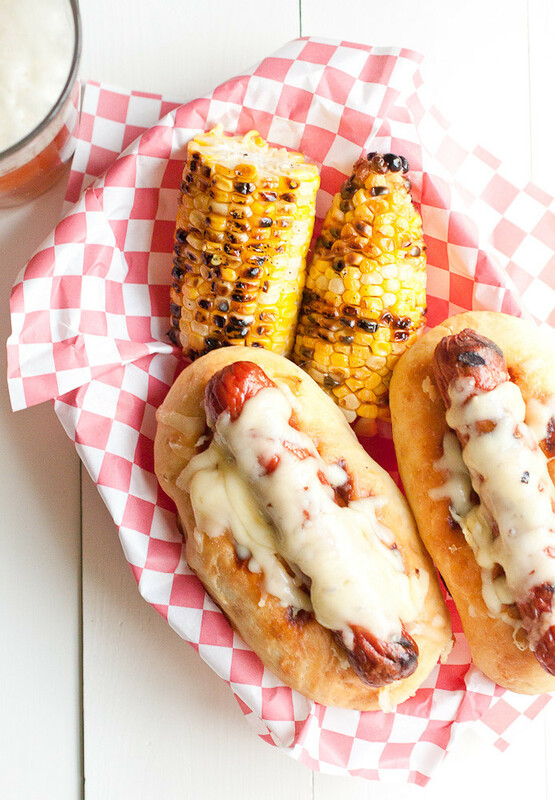 We’re both major fans of reuben sandwiches and these hot dogs are definitely the perfect bridge between sandwich and summer grilling perfection. 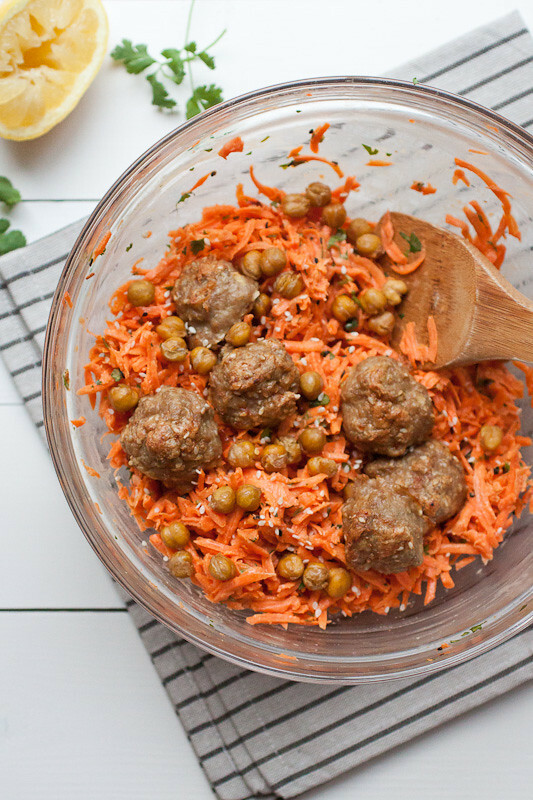 Carrot Salad with Tahini Dressing, Crisped Chickpeas, and Sesame-Spiced Baked Turkey Meatballs. This is a mouthful of a name for such a simple meal to throw together! In the time it takes to bake the meatballs, the carrot salad quickly comes together and in about 30 minutes, a fantastic and healthy meal is ready to go. Both recipes hail from of my favorite bloggers ever and this meal is a testament to how simple food can be so delicious. 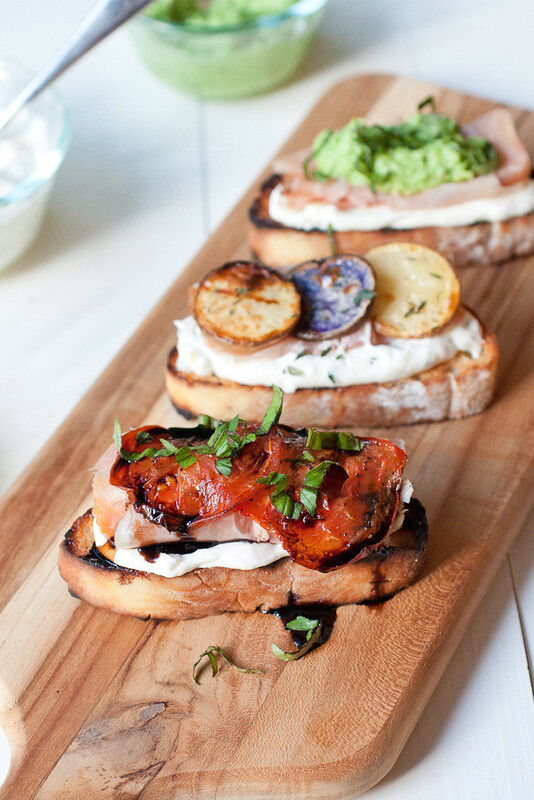 Grilled Crostini 3 Ways. These crostini composed my favorite meal of the entire summer. I topped grilled bread with a super easy-to-make homemade ricotta cheese and each got a variety of toppings. It’s nearly impossible to choose a favorite of the three and since Kyle and ate these crostini hovered over the kitchen island (we didn’t even make it to the table), I don’t think Kyle could choose either. This was a total and complete winner of a meal. S’mores Ice Cream Popsicles. It’s hard to effectively tell you how much I loved these popsicles without completely gushing over them. 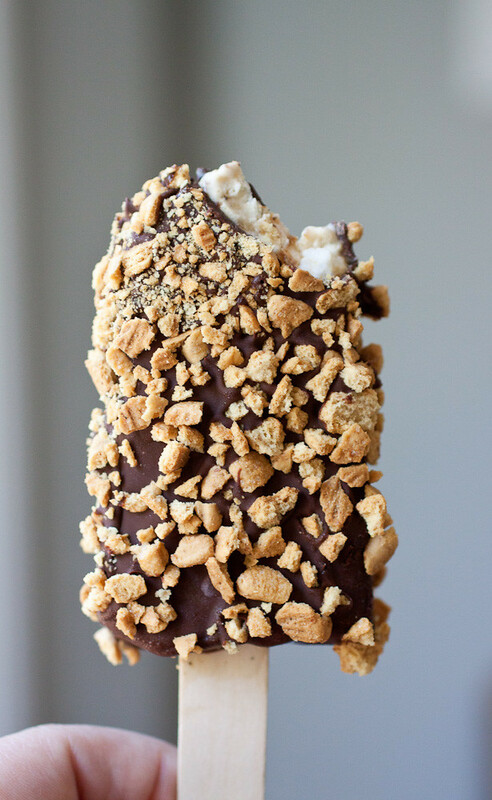 Toasted marshmallow ice cream is the heart of this frozen treat but the quick dip in melted chocolate and a roll in crushed up graham crackers finishes the whole thing off. They’re one of the desserts I’m most proud of this year and I can’t wait until popsicle season rolls around again in a few months! 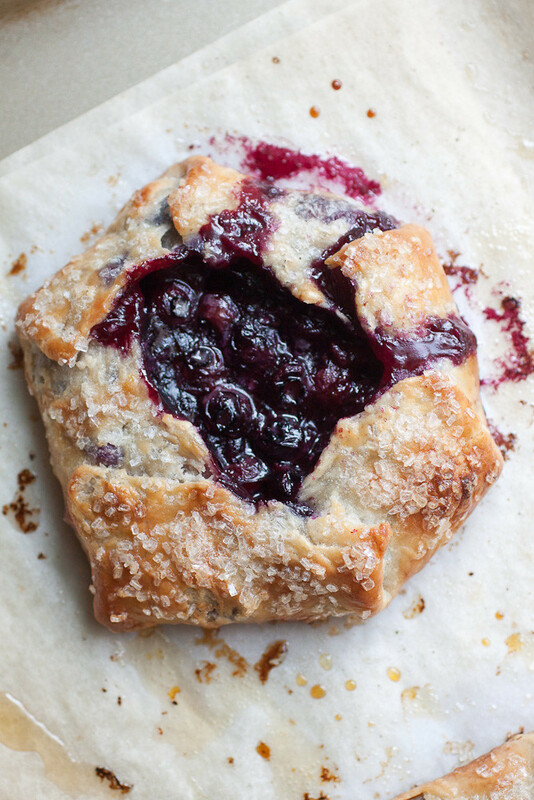 Blueberry Ricotta Galettes. Don’t let the ricotta throw you here – it’s only in the crust and it helps to keep the dough pliable while rolling. The galettes themselves were truly something special. The fresh and slightly sweet filling bursting out of the tender and buttery crust made for my #1 favorite dessert of the entire year. Chimichurri Steak and Potato Salad. I realize there are quite a few salads already on my list here but I can’t possibly compile this list without this salad on it. To be honest, the love we had for this salad was quite a surprise to both of us. 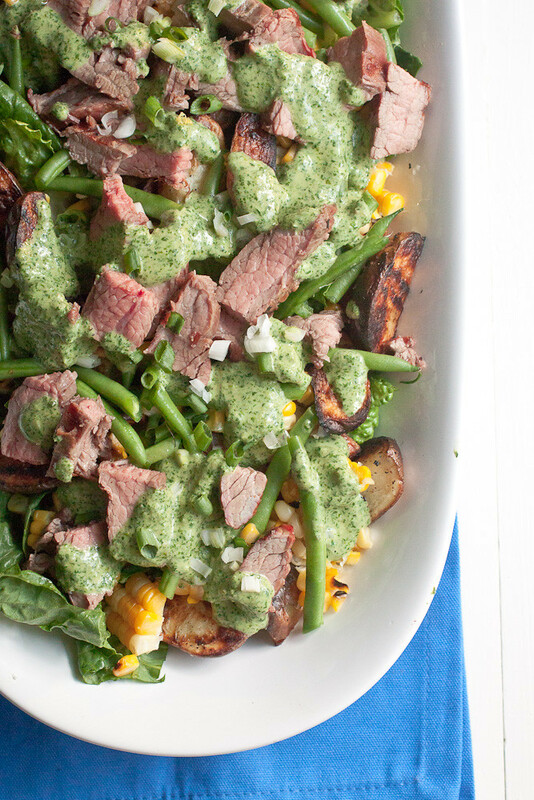 With grilled and slightly charred potatoes, a simple grilled and thinly sliced flank steak, and a cilantro-based chimichurri sauce that blew us away, this salad totally killed it. 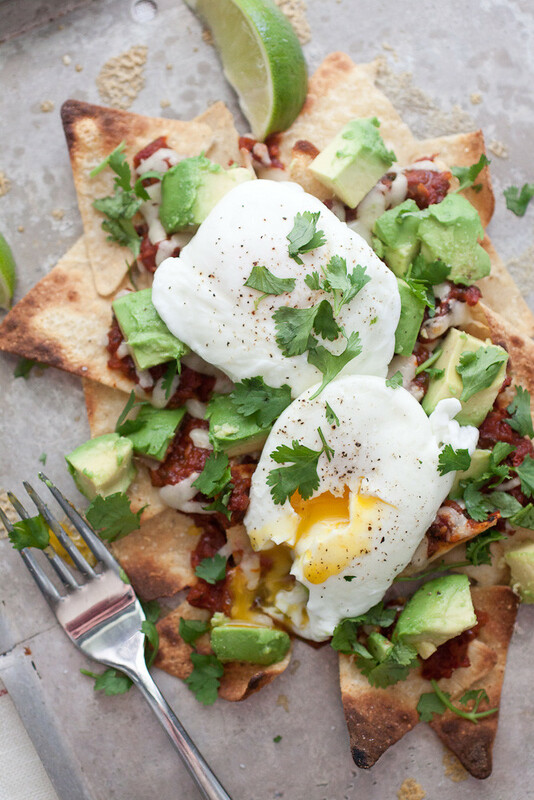 Breakfast Nachos with Poached Eggs. My love for poached eggs spilled over into what would normally be a fun dinner for us: nachos. I had this insane and sudden craving for breakfast nachos a few months back and hence these nachos were borne. 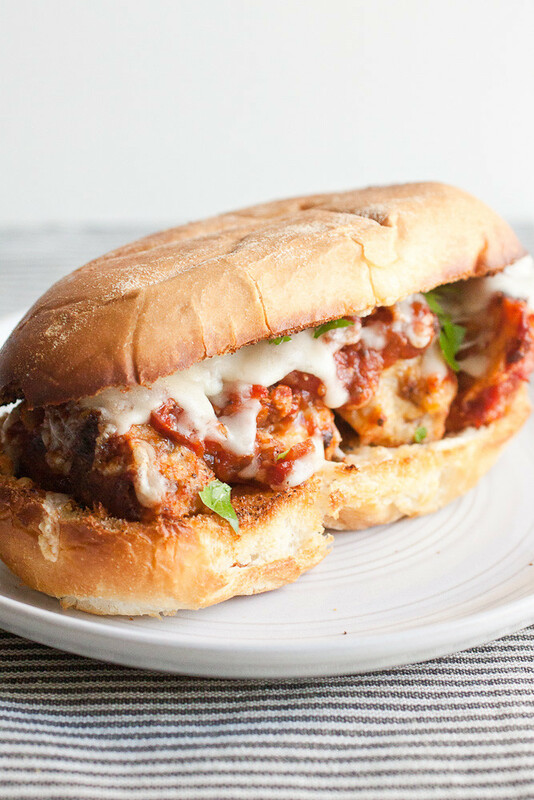 Garlic Bread Spicy Meatball Parm Subs. The meatballs from these subs has been a long-time favorite our ours (see also spaghetti and spicy turkey meatballs and an earlier sub version) and I decided to up the ante a bit by stuffing them in a garlic bread sub roll. Best idea ever. 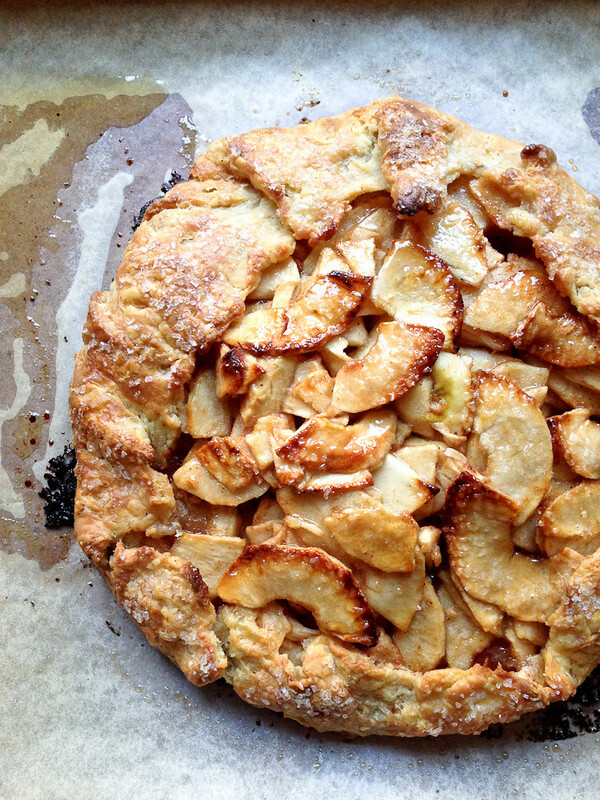 Maple Glazed Rustic Apple Tart. This tart was borne out of the need for a fast dessert to take to my aunt’s house in October when I chickened out on the original dessert I had planned for the day. Not a bad fall-back, right? I even snapped the photos with my iPhone right before we ran out the door! This free-form tart (galette) ended up being one of the best things to emerge from my oven all year! 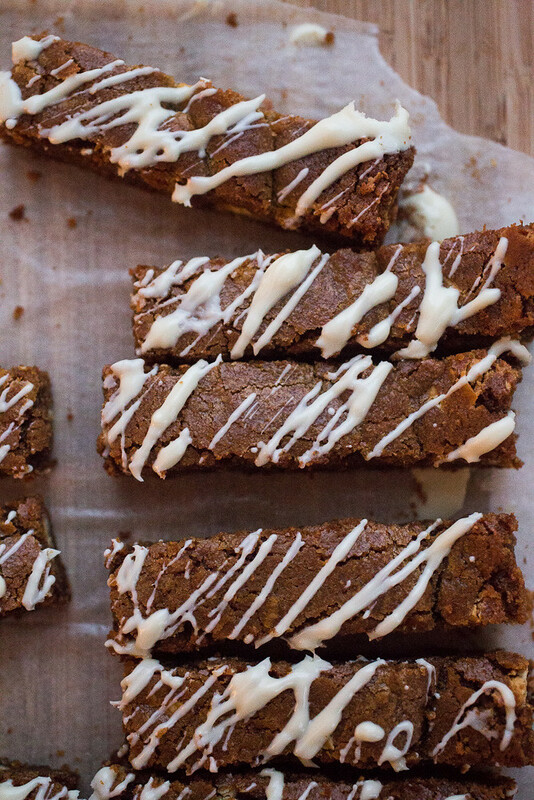 White Chocolate Gingerbread Blondies. If I could only have eaten one [non-traditional] holiday treat this year, these blondies would have been it. The slightly spiced gingerbread flavor pairs perfectly with white chocolate and the chewy blondie is the base for this truly addictive dessert. My goodness there are a bunch of winners in this one. Thank you for bringing the bean soup back to my attention. Happy New Year!!!! !